Our weekend started early. 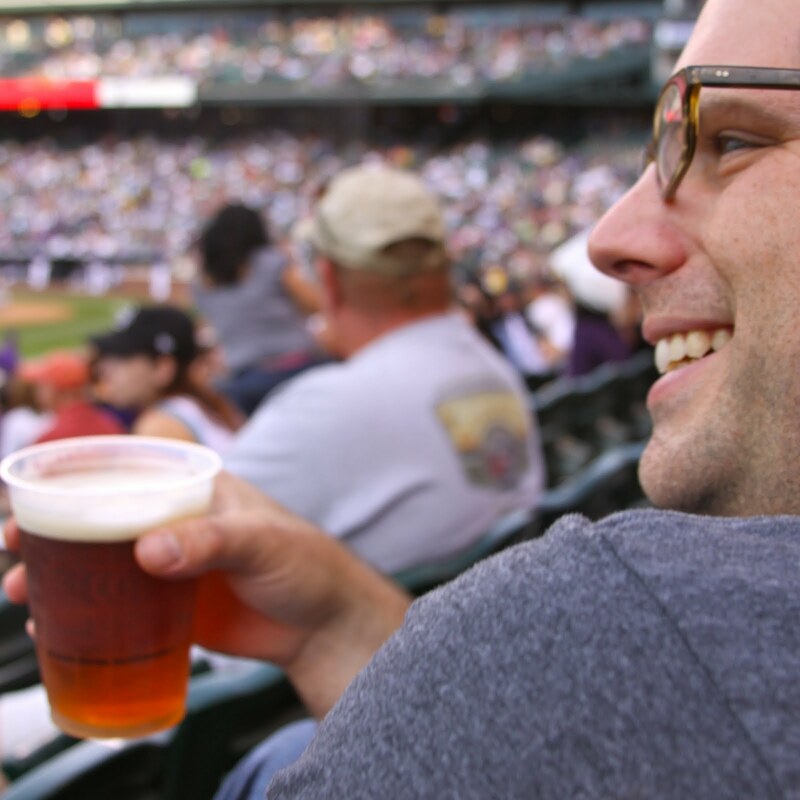 Mr. B and I went to a Rockies game on Thursday night with some people that work in his industry. Is it sad that we live down the street from Coors Field and this is our first game of the year? Don’t answer that. Okay, it’s bad. The Rockies were on a bit of a losing streak. Five straight losses, yikes. The first couple of innings were rough, but they actually ended up wining. Go, Rockies! Mr. B and I were pretty low key on Friday. We both had the day off work so sleeping in, catching up on household chores, and then a quick stroll in the evening were the highlights of our day. Sometimes you need a day to do mindless activities. Also, my brother informed me that they sold the Toyota Camry! This car was originally my dad’s car back in 1995 and then when I turned sixteen, he handed it down to me. I drove that bad boy until I left for Chicago and then my older brother John took over the reigns. The Camry had been in our family for more then 15 years and had over 300,000 miles on it. I was sad to hear that she had been sold, but I think it was her time go. Lots and lots of memories in that car. Have you had an old car? If so, how old? I met up with Listy at Wash Park for a run/walk at 8:30am. I am still testing out my back to see if I could even run because I hadn’t run since Tuesday. Annoying spasms. Can I just tell you that Listy is awesome! She had three hours of sleep last night because Chance has a sinus infection and couldn’t sleep. She still met me at the park, and walk/jogged for 5 miles. Remind me to never complain again. Ever. I said goodbye to Listy and then met back up with Mr. B at our place and then headed to breakfast. Homegirl here was starving! Since I missed Drew’s birthday last weekend because I was gettin’ my shenanigans on in The Ta, Mr. B took me to Billy’s Inn. This place was fantastic. I sipped on a coffee and devoured a Mahi skillet. After brunch, we headed back home were I passed out on the couch for about an hour. I swear I am turning ninety. Old balls here people. Once I awoke from my nursing home nap, Mr. B and I headed to Bike Source to check out road bikes. 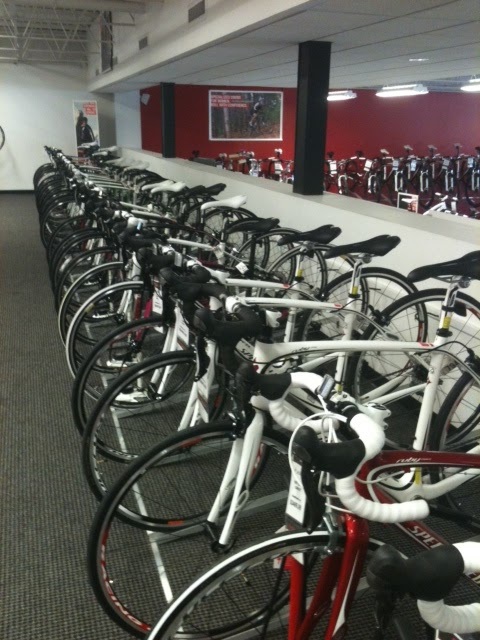 We have been on the prowl for road bikes since, well….forever. It’s amazing how much you can procrationate on one particular item. i don’t think they have enough bikes. Okay, I am going to be honest, this was not an easy task. Shopping for road bikes takes time. We spent three hours at Bike Source. First, trying to figure out what we wanted/could afford. Second, test driving. Third, deciding whether to purchase. 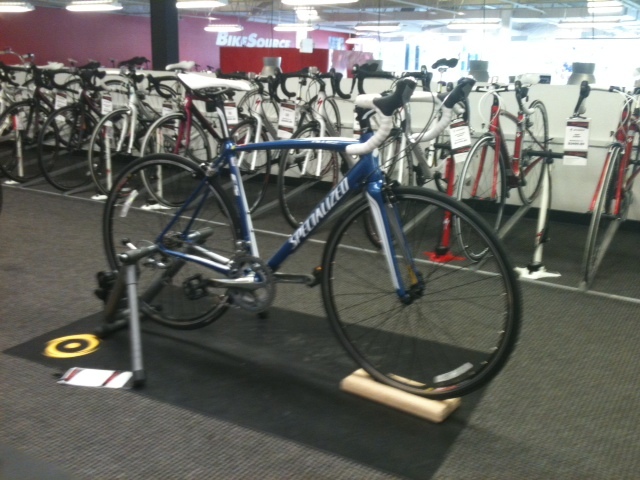 There’s a lot of steps, but in the end it was all worth it because we now have pretty new road bikes! 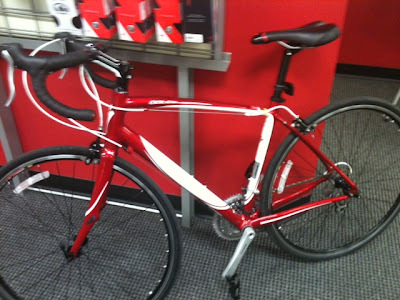 I am looking forward to crusing along on my road bike (spandex-free of course) as well as training for a triathlon which may or may not happen this year. I still have to squeeze in two-half marathons. Since both of us didn’t feel like cooking tonight, the next best thing to eat that’s light and refreshing, sushi! We got carry out from our good friends down the street at Sonoda’s. They get fifty gold stars in customer service. And their sushi isn’t half bad either. Mr. B and I are off to catch up on some Tivo. So sad about our baby Ms. Camry. 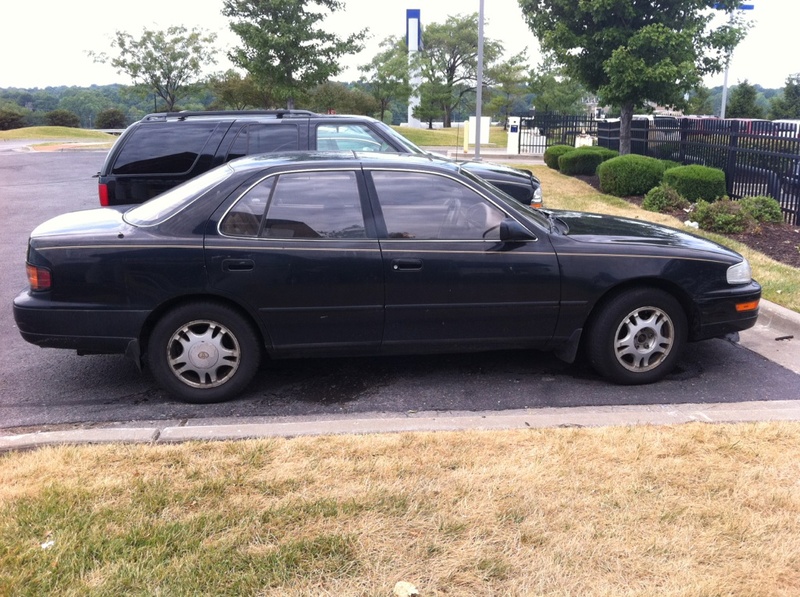 Other than my truck, the Camry was the best car I ever drove. She left the family on our 33rd. wedding anniversary. How ironic. I'll always remember adding the G-phi and KSU stickers to the rear window. Of course, John switched those out for KU stickers when he took the reigns. Best car for the money – for sure. Adios, Camry.